Purpose of the role: The management of Client accounts and all facets of Client Service and of the delivery of Agency services in an efficient and effective manner. Day-to-day project management of all projects allocated to you on one or more accounts, from conceptualization through to production. Continuously provide updated information regarding status of work, while managing the client’s expectations, timing and output expectations with both agency and client. Manage the invoicing and financial administration within the team. Train the AE and support Account Management and the Finance department with regards to Financial Reporting. 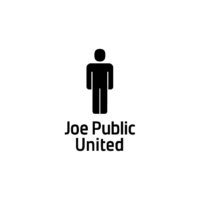 Founded in 1998 and growing into Joe Public United in 2007, makes this advertising communication group one of the countries largest 100% independently owned entities. Its core purpose is to deliver on growth – growth of its clients, its people and country as well as aiming to be an agency that inspires greatness. 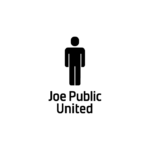 Joe Public United was rated as the 2014 Agency Group of the Year and also as the Agencies’ Agency of the Year for two consecutive years running.